With long 11-in. 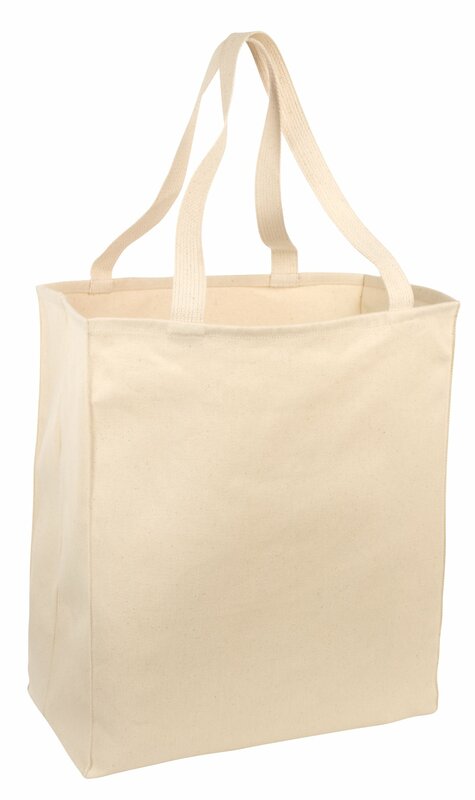 handles to make carrying a breeze this roomy tote is an easy way to bypass paper and plastic grocery bags. Durable 10-ounce 100% cotton twill Cotton web handles reinforced with stress-point stitching Dimensions:15.5 h x 14.5 w x 7 d; Approx. 1 573 cubic inchesNote: Bags not intended for use by children 12 and under. Includes a California Prop 65 and social responsibility hangtag.